Colorado Springs, CO (Restaurant News Release) International Poke Company (IPC) is now open and announces its Grand Opening to celebrate its first store. International Poke Company is a fast-casual, healthy restaurant offering poke for dining in or to go. Pronounced (Poh-Kay), this traditional Hawaiian dish is made with raw fish, soy sauce, sesame oil, seaweed, onion, and pepper flakes. International Poke Company is proud to continue the Hawaiian tradition of making healthy food irresistible that maximizes flavor, texture, and culinary creativity. IPC designed its bowls for those who seek an elevated culinary experience with an emphasis on fresh, nutritious and sustainable ingredients. IPC’s fusion style poke combines elements from around the world to create unique and exceptional flavor profiles. 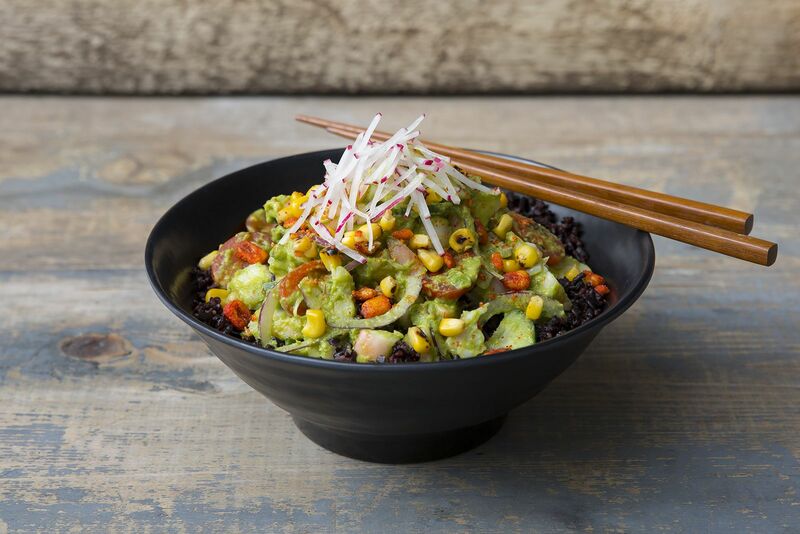 “We hired a world-renowned chef to help us design our menu, and he quickly noted that most cultures around the world have a raw fish staple dish in their diets. We ran with that idea and created bowl concepts inspired from global flavors,” said co-owner Jon Polkow. Bowls can also be made into nori seaweed wraps, and fish can be substituted for tofu or jackfruit to make the dish vegan. In addition to vegan and vegetarian alternatives, IPC offers dairy and gluten-free options, has Wild Tonic® Jun Kombucha on draft and offers Stubborn Craft Soda®; a lower-calorie fountain beverage with no artificial sweeteners, colors, or caffeine. VISUALS: Giveaways, samples from vendors, decorations, surprise perks. “When Jon and I formed our partnership for IPC, we decided we wanted the restaurant to be a conduit for improving people’s lives. We offer an experience that enriches the lifestyle of all involved through delicious and healthy food, giving back to our community, offering fantastic employee perks and creating a culture of positivity. We’re thrilled to celebrate our first location on February 15th and look forward to a future announcement of a second opening,” said co-owner, Al Alvares. The International Poke story is one of passion, concern, and drive. Al Alvares and Jon Polkow, two successful entrepreneurs, wanted to do more with the middle years of their lives. After years of searching for the right business and model to engage in, they stumbled across poke and fell in love with the unique cuisine. 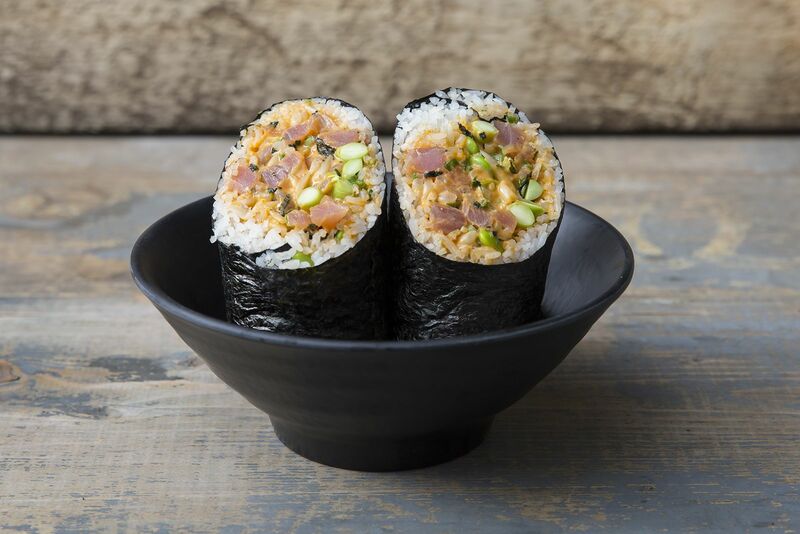 Apart from delicious chef-inspired poke, IPC has crafted the restaurant, down to the cups and napkins, to leave as little of a carbon footprint on this planet as possible. What’s good for the earth, is also great for our bodies, so the taste offerings are designed to be healthy, delicious, vegetarian and vegan-friendly. Food preparation is taken seriously, and IPC strives to serve only the freshest ingredients. Investment in the Hawk Safety System, a cloud-based temperature reporting platform, allows IPC to maintain the perfect cooling temperatures by sending data to managers and kitchen staff at all times and from multiple locations. All of this culminates in a one-of-a-kind dining experience like none other.